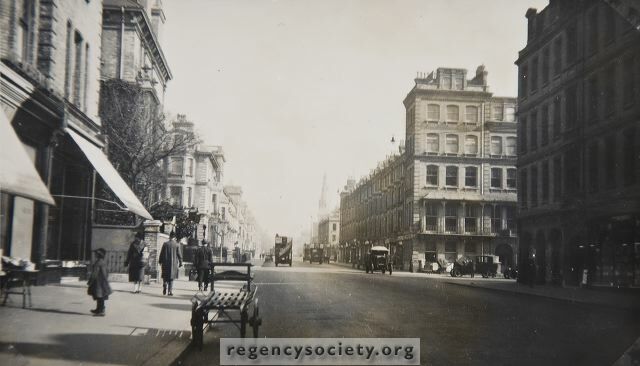 CHURCH ROAD IN THE 1920s. In this photograph is shown one of the few buildings which has undergone a major reconstruction. No 2, The Drive, a handsome mansion, with its entrance in Church Road flanked by two lamp standards, was converted in 1936, to provide ground floor premises for Martins Bank, with other shops built over its back garden.